Malaysia, situated in southeast Asia, is known around the world for its beaches, rainforests, and mix of Malay, Chinese, Indian and European cultural influences. Whether you’ve booked your first trip to Malaysia and counting the days until you set off, or whether you’re still in the planning stages, we’re detailing some of the most important things to know for your visit. Malaysia experiences relatively high temperatures all year around, averaging 28 degrees celsius. However, you might want to keep in mind that monsoon season arrives in late November and can last right up to late February. During this time, Malaysia experiences an extremely high volume of rainfall, limiting the amount you can see and do in the country. March through October is arguably the most popular time of year to visit Malaysia, when you can enjoy favourable temperatures and enjoy the country’s offerings without worrying about adverse weather getting in your way, from relaxing at the beach, to exploring national parks. You should thoroughly research methods of transportation in Malaysia before planning your trip, to ensure savviness when it comes to getting around without the fear of breaking the bank. The most expensive, unsurprisingly, tends to be taking a taxi. Many taxi cabs are not fitted with metres, therefore if you’re none-the-wiser, you could be taken advantage of. If you do happen to hop in a taxi, be sure to agree on a price limit with the driver prior to setting off. Travelling by bus is one of the easiest, most convenient and affordable ways to travel within Malaysia. Bus journeys can cost as little as 50p for one trip, depending on your route. It is also the most popular mode of transport for those arriving and departing from the airports. If you’re travelling from one side of Malaysia to the other, the easiest and fastest way to do so is by flying. It takes roughly about 2.5 hours to fly from Kuala Lumpur to Kota Kinabalu. 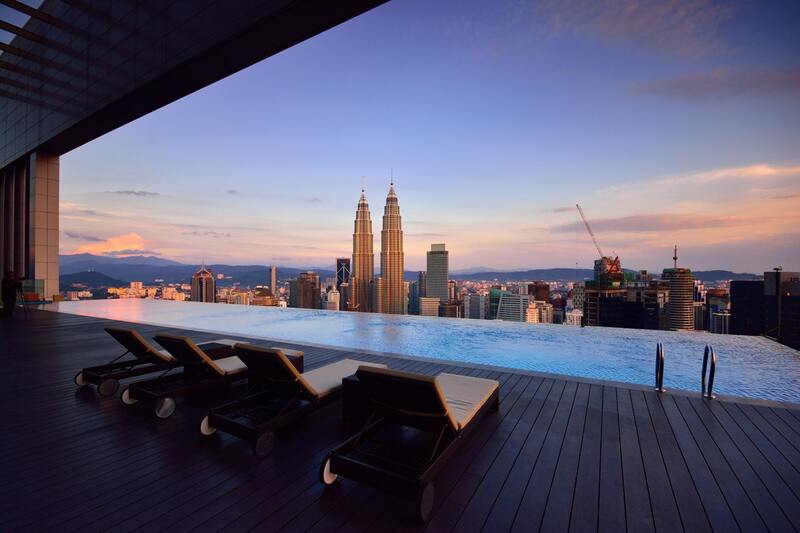 There is a plethora of choice when it comes to accommodation in Malaysia, and there is something to suit every kind of travel budget. Brand-name hotels tend to be amongst the most expensive options, however, sites such as Booking.com tend to consistently return the cheapest rates for hotels. If you’re on a shoestring budget, there are plenty of hostels around the country, with varying costs and room types available, from dorms to private rooms. Free WiFi and free breakfast are surprisingly common throughout hostels in Malaysia. If you’re backpacking, and want to do so in the most traditional sense, there are plenty of camping spots available for those travelling with a tent in tow. As well, Airbnb is available throughout the country, again, with varying costs. You can rent a room or an entire home or apartment. The official currency of Malaysia is Ringgit. 100 sen makes up 1 Ringgit. You will, of course, need access to this currency if you hope to pay in cash on your trip. When travelling to Malaysia, it’s a good idea to bring a combination of travel money options. Ideally you should bring a travel card and some cash. Cards are widely accepted throughout the country, however, you will need to spend some cash, depending on what you’re planning to do.